Clouds lit by the sun hover over Spring Gap. 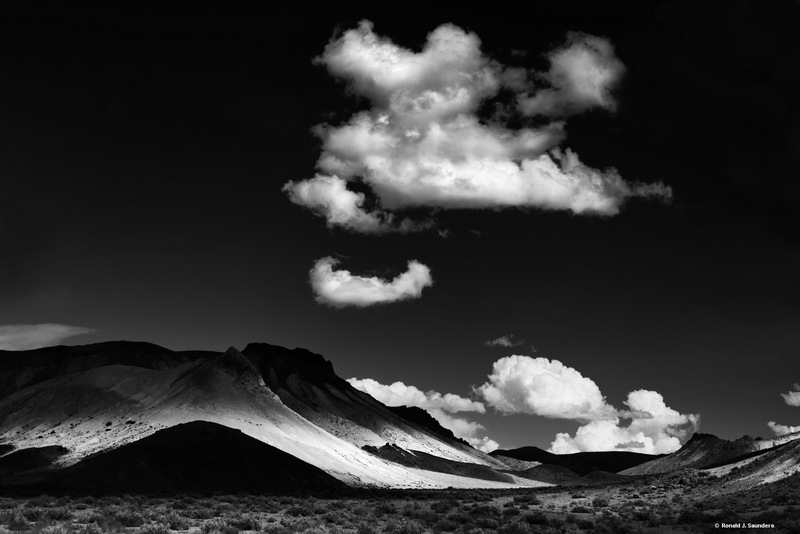 This print has a companion print called Clouds over Spring Gap 1. Both images were taken from Emigrant Pass Road about 45 minutes from Tonapah. Photo © copyright by Ronald J. Saunders.